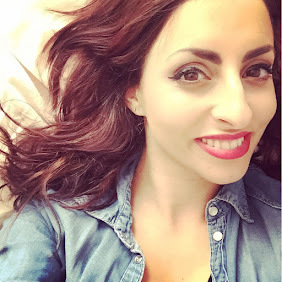 Hello gorgeous people! So its tuesday and oh no its cold :( dont like the cold! I am a summer lovin kinda gal!!! Today was a day with my parents and a trip to ikea was the plan-haul to follow! I also have done an OOTD with this so its 2 in 1! I used my ELF palette! 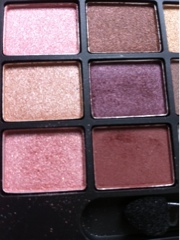 So far am impressed with this pigmentation! Will review this shortly. I used a sparkly pinky peach all over my lids, a shade of brown that has a burgendy hint for my crease and another shade of brown for my edge. 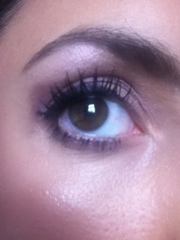 I also used the pink and edge brown for my lower lash line. 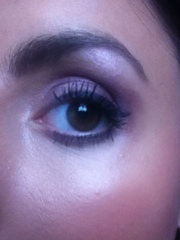 A higlighter for below my eyebrow, gel liner and lashings of mascara completed the look! To go with this i wore my MAC lipstick in Rebel! Skirt £20! these have been my staple items since labour! 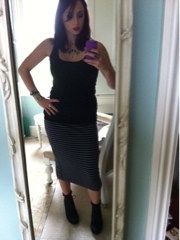 Pencil skirts all the way! I teamed this with a tesco black vest that I got for £1!! 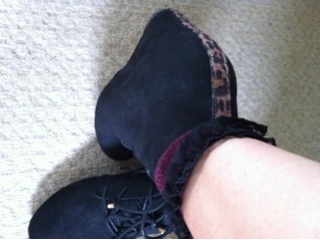 My river island leopard print trim wedges £35, with topshop burgundy lace trim socks £3. I also wore my leather jacket to rock it up! 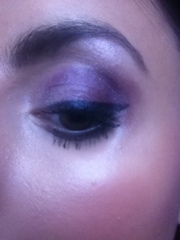 Hope you like this look loveys!!! 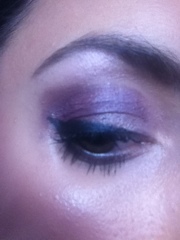 I never tried ELF eyeshadows, I'm surprised how pigmented it is. Love the look! And so do you! Love the outfit & wedges! !